The U.S. Department of Agriculture is spending roughly $150,000 to find out how ranchers "perceive and communicate" about global warming. The Boise State University study is attempting to convince ranchers to take action on climate change through a "behavioral field experiment" that will test ranchers reactions to different "framings" of climate change. "Rangelands, and ranching, are an integral part of the economy, culture, and ecology of the western US," according to the grant for the study, which was awarded earlier this year. "The long-term health of these rangelands, and the way of life they support, however, is increasingly threatened by uncertainty associated with climate change." "Working directly with ranchers, using semi-structured interviews and focus groups, we are examining how ranchers experience climate variability, how they perceive and communicate about climate change, and whether and how they are adapting to climate change on the lands they manage," the grant states. Taxpayer funding totaling $149,631 is being spent to conduct interviews and focus groups with ranchers. The ranchers will be tested on how they "respond to climate change adaptation programs that are framed in different ways." Boise State University received the funding in July, and research will continue through June 2019. 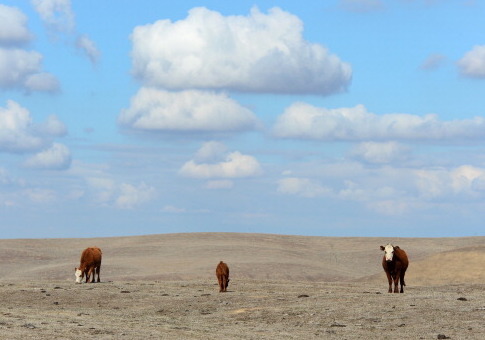 The main goal of the project is to evaluate "rancher perceptions of climate change" and "identify alternative ways of promoting climate change adaptation practices." The behavioral experiment will involve a "rancher workshop" about climate change, which will then be used as the basis for a case study in a graduate field course taught at Boise State and Idaho State University. This entry was posted in Issues and tagged Climate Change, Government Waste, Idaho. Bookmark the permalink.